In certain circles in Russia, the expression “broad left” has lately become a slur. For example, one article entitled “For a narrow left!” published on the Levoradikal website in 2015, ascribes the following sins to the “broad left”: “tolerance towards non-Marxist, non-Communist theories in socialism,” as well as the neglect of “theoretical struggle” in the name of practical considerations. Such behaviour is contrasted with the “narrow left,” which demands “placing the interests of the workers’ party above ‘the interests of society as a whole’ or even those of ‘the [working] class.’” However, behind this threadbare term stands a yet-to-be concluded debate about how to transform a conglomerate of small, marginal groups into a real subject of national politics. The original source of the “broad left” concept can be found in the article “On building an organisation of anti-capitalist leftists,” published in December 2010 as the first programmatic text of the future Russian Socialist Movement (RSD), which arose as a union of Trotskyist and non-Trotskyist groups such as Forward, Socialist Resistance, and the Perm faction of the Revolutionary Workers’ Party (RWP.) The authors argued that it was no longer worth hedging bets on a split within the Russian elite (particularly not by the end of Dmitry Medvedev’s presidency), within which the “paternalists” were considered defenders of the welfare state and accordingly as potential allies for the left; in many ways, this was also the reasoning behind the Left Front’s strategy of supporting Communist Party candidate Pavel Grudinin during last year’s presidential elections. Furthermore, the authors warned of the danger of becoming dependent on oppositional liberals, whose discontent essentially bored down to “unhappiness with the mechanism by which state officials are appointed, and whose businesses [the authorities] choose to support.” Thus the non-systemic left’s tactic of associating itself with bourgeois groups precludes its ability to participate in a broader political organisation. “The social upheaval that radical politicians of all stripes had hoped for will not simply be the result of a change in certain objective circumstances. Political forces (alas, not necessarily those on the left) will also determine the further development of the situation, making their agenda the agenda of the masses, and their organisations the centre of social mobilisation,” the authors wrote in early 2011, before the mass anti-governmental protests a year later, as if anticipating Alexey Navalny’s future success. At the same time, the authors do not at all deny the need for left participation in the labour movement. 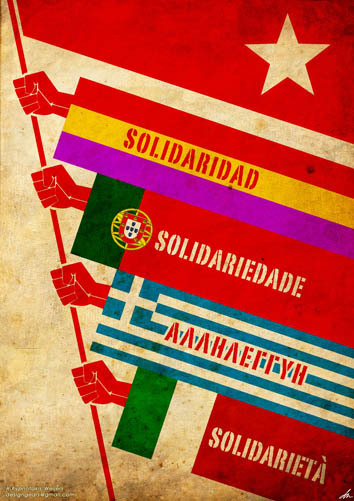 “It seems obvious,” they write, “that a broad anti-capitalist organisation cannot be such without extensive roots connecting it to activists of militant trade unions and social movements.” But this does not mean that other social issues or agendas can be neglected (such as youth, culture, anti-fascism, gender equality, and so forth.) By acting in different social spheres, the left can promptly react to relevant problems and pressing issues in public life. It can thereby promote the convergence and interaction between these milieus, merging them into a united anti-capitalist movement. Thus, the “theoretical struggle” should be conducted not on the basis of ideological orthodoxy, but on issues of current politics, strategies, and tactics. In contrast to the approach of certain left sects, who try to preserve their dubious Marxism and suppress disagreements, a more critical approach only improves the theoretical tools available to the left movement. In a democratic environment, a broad, but not limitless, pluralism does not prevent us from giving answers to the challenges of our times. On the contrary, it makes our answers even more substantiated. The idea of a “broad left” became increasingly popular during the 2012 boom in social activism. Not only the Russian Socialist Movement tried to implement it, but so did the Left Front, the Russian United Labour Front, the Forum of Left Forces, and later the United Communist Party. The decline in protest activity, especially in the wake of the tragic events that followed the protests on Kyiv’s Maidan, dealt a heavy blow to Russia’s socialists, communists, and anarchists. Almost all of the “broad left” which existed at that time experienced painful schisms and periods of decline. Previous commitments to unifying the left gave way to a division between leftist conservatives and democrats who, due to their own weakness, were forced to enter into alliances with liberal or conservative (such as the Pavel Grudinin presidential campaign) groups. Consequently, the reaction to the crisis took the form of a rebirth of sectarianism. This can be explained on the one hand by left groups’ concerns about the preservation of their membership and distinct political identities, and on the other by an inability to theoretically comprehend the processes underway. The “broad left” thereby became a symbol of unfulfilled hopes and the object of vicious mockery. This situation began to change throughout 2017-18, against the background of youth protests for Alexey Navalny and public demonstrations against the rising of the retirement age. Both these developments forced the left to cooperate, and the idea of a “broad left” has surfaced once more. Today, it is even propagated by bourgeois experts, who explain away public demands for left-wing politics by referring to widespread dissatisfaction with Russia’s “systemic” parties. Whether we will be able to satisfy those demands without repeating the mistakes of the past depends on the position of young people who are now coming to the left. 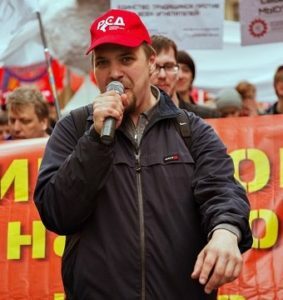 Ivan Ovsyannikov is a writer and union activist, a member of the Russian socialist movement, and editor of the Interregional Workers’ Association’s (MPRA) magazine Union Navigator.